HELMETS, BELLS AND LIGHTS (HOLIDAY AND BIKE LIGHTS!!) ARE STRONGLY SUGGESTED. Kids are 12 are required by PA Law to wear helmets and by law a front light is required on all bikes including kids. 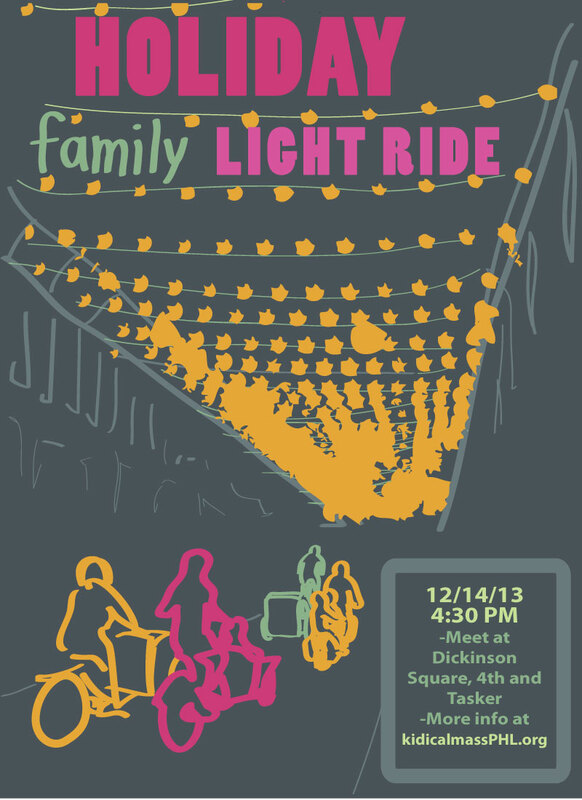 Santa, from Firth & Wilson’s Bike Shop will be riding with us! Wash Cycle Laundry, Philadelphia’s laundry mat by bicycle, will be joining us to offer a buffer and providing us with some snacks at the start. Thank you again to DiBruno Brothers for allowing us a space to warm up and park our bikes post bikes. What happens if there is bad weather? : We will likely cancel. Please check back on the website and Facebook group. How many lights will we see? : In interest of time we are only going to see 6 streets with lights. We will not be crossing Broad Street to see the West side of South Philly’s displays. If you want to go on a longer ride The Bike Coalition will be running one on the Thursday before ours.